Announcing the release of Talking Hebrew Word Book for iPad users. Talking Hebrew Word Book,developed by Davka Corporation and is a Hebrew vocabulary program including more then 500 modern Hebrew words, phrases and expressions as well as audio, recording and testing mode. The app offers the proper pronunciation of each word in Israeli-accented Hebrew-crisp, as well as screened translation in English and illustrative cartoon. With app’s recording feature you’re able to record your own speech and then compare it with modern Hebrew pronunciation. This ability gives you opportunity to smarten your pronunciation and have a better results. Hebrew Word Book has 18 phrase sections and 29 word sections complete with testing sections for each unit. 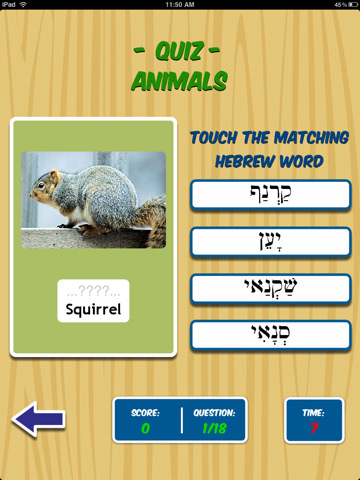 App is perfect for tourists, travelers, and students as well as for anyone who wants to improve their Hebrew vocabulary. 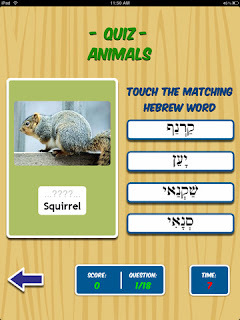 Talking Hebrew Word Book 1.0 is $5.99 USD and available worldwide exclusively through the App Store in the Education category.